Yes, I have another square card for your enjoyment. 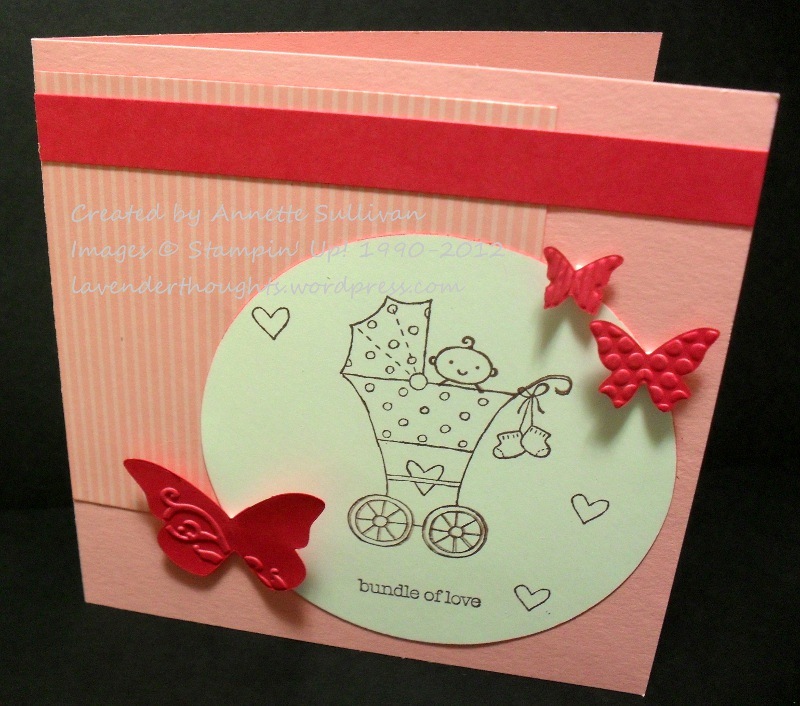 This time, a cute monochromatic baby card. Pretty in Pink card stock and DSP was combined with Melon Mambo to create this effect. The butterflies were cut with the Embosslits Beautiful Wings and the images from Baby Bundle were stamped in Chocolate Chip on Whisper White.